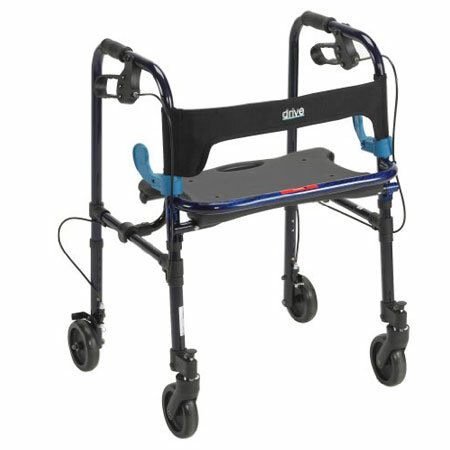 Allows individual to be seated or by raising seat to step inside the frame to be used as traditional walker. 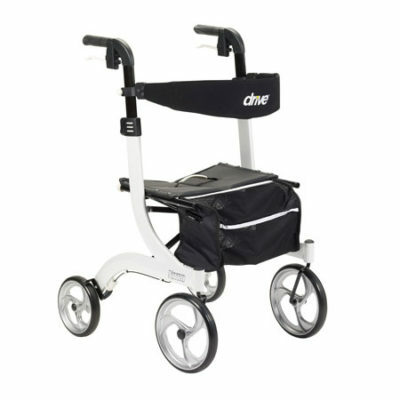 Easily folds with dual clever side paddle release. 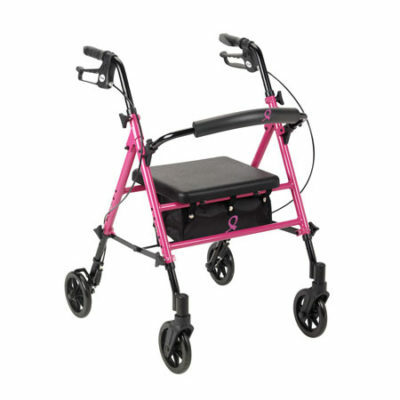 Soft flexible backrest provides comfort and stability while seated. Loop locks provide added safety and security. 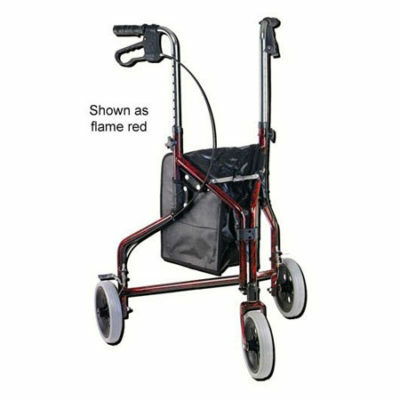 Front wheels can be set in either swivel or fixed position. Sturdy 1 diameter anodized extruded aluminum construction. Depth (Opened at Base): 23.